Prime Safaris & Tours Ltd is an indigenous East African tour agency fully registered and licensed in Kampala Uganda. It was founded as an avenue to support the Christ Our Vision Child Care (COVCC), disadvantaged children, widows and the elderly. We drive travelers’ interests providing them with their desired ultimate safari experiences in Uganda and all around East Africa. Samuel, the founder of Prime Safaris & Tours and one of the Directors at Christ Our Vision International Children`s Ministry (COVICM), a family founded and managed vulnerable children community care orphanage based in Kalagi town Mukono-The second worse hit district with HIV/AIDS in Uganda. Samuel was born in Kampala-the capital city of Uganda, where he grew up and studied. He went to New Mulago Primary School, Mengo Senior School for both ‘O’ and ‘A’ Levels then Makerere University Kampala for his degree. After annexing credible experience in the tourism industry, he opened Prime Safaris & Tours Ltd in 2008 to not only offer ultimate Africa Safari memoriesto travelers the world over but as an avenue to annex funds to run the Christ Our Vision International Children`s Ministry (COVICM),! Kamya Cate is the CEO and Office Administrator at Prime Safaris and Tours ltd. She was born and raised in Kampala, Uganda and also completed a Bachelor‘s degree of social work and social Administration from Maker ere University. 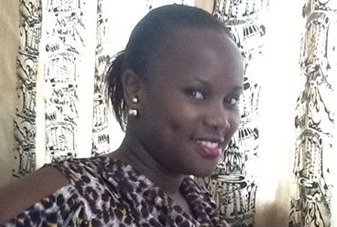 She is married to Makanga Samuel with three children.She is fluent in English, and Luganda. She loves challenges and easily adapts to changing environments.Cate works almost 24 hours a day but when not working, she loves watching documentaries, listening to music and making friends. Born in Ankole region of Uganda, near Lake Mburo National Park, he joined Naama Primary School for his Primary, Kaaro High School for O’ level and A’ level then Makerere University Kampala where he acquired Bachelors of Tourism degree (First Class (Hons)). 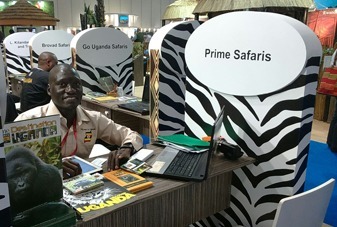 He holds credible experience from a range of tour & travel companies including Prime Safaris & Tours Ltd, hospitality establishments, government agencies and Conservation organizations in the aspects of Tourism product development, pricing, customer service, passenger handling and general hospitality, tour guiding, protected and conservation Areas Management, Air ticketing and sustainable tourism development. The range of field trips and in-depth research has enabled Simon to generate great knowledge of Uganda – the Pearl Africa, Rwanda – the land of a thousand hills along with major Africa Safari destinations of Congo, Botswana, Kenya, Namibia, South Africa and Tanzania. Simon derives satisfaction in seeing the clients’ safari needs and interests met without sacrificing the minimum quality standards. Born and raised up in Wakiso a native district in Uganda. Martin attended both preparatory and high school in Kampala. 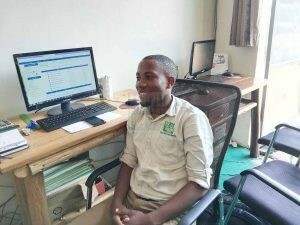 He is currently an accountant at Prime Uganda Safaris & Tours ltd and holds a first class diploma in accounting and finance from Uganda college of Commerce Soroti and a level two certified public accountant (CPA). Martin is very passionate about development and extremely zealous for success in everything he does. He has a professional background in marketing and tourism with flexible, reliable, result oriented, strong willed, capable of working effectively and putting God first in everything he does. He enjoys the idyllic nature of relaxing in quiet places, travelling and exploring new places and a fun of cooking African dishes. 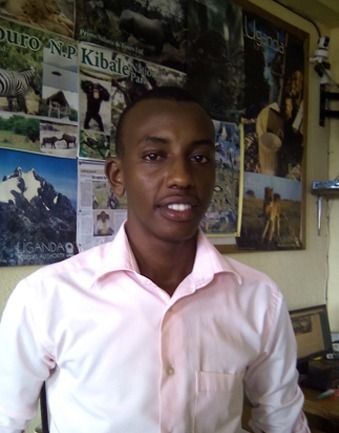 Robert has been working with prime safaris and tours ltd since September / 2013 under the Information Technology department but majoring in online promotions. Robert holds a certificate in electrical installation from YMCA Institute Kampala Branch. Samuel was Born and raised from Busoga Region (Iganga District), I joined Bishop Willis Demonstration School near Busoga University in Iganga for my primary, went to Budini SS in Kaliro District for my O’level and A’level then Kyambogo University for my Bachelor’s Degree in Information Technology and Computing. 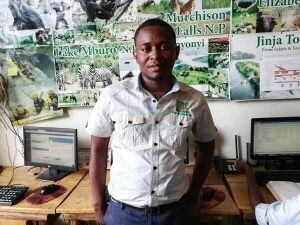 Samuel is a Webmaster and System Administrator for Prime Safaris & Tours ltd and has occupied this position since February 2018. 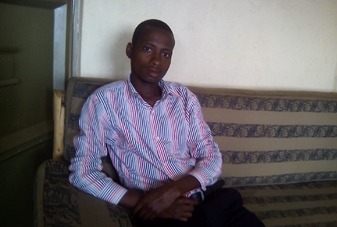 Samuel’s duties include designing and hosting websites as well as being a Network Administrator for the company. He is also a company Systems Administrator, fixing any software & hardware problems surfacing in the daily lives of the computers. I have developed a number of websites such as http://gorillatrekking-uganda.com , https://www.africasafaris-tours.com/ and many more. Denis was born in Mukono and has lived there all his life even when he did his schooling and Higher education. He has continued to live in Mukono with his young family and soon he is expecting children. Denis is friendly, helpful and has a good sense of humor. He is very easy going and gets on very well with people in general with his adaptable nature. His hobbies include athletics that’s Marathons (when time allows) and football, which he follows passionately since he used to play at quite a high level at high school age. Association (USAGA). Denis’ intimate knowledge of Kampala area has been helpful in his role as guide and coordinator for many film crews hosted over the years. 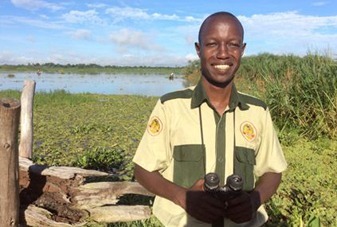 His extensive knowledge of Ugandan culture extremely polite and unhurried manner with guests makes him a popular choice of guide with many regular agents and clients. Denis has guided many different levels and types of safaris over the years including some high profile clients, large groups and even camping and Rwenzori Mountain Climbing expeditions.He has put his passionate interest in wildlife and experience caring for clients together to become an excellent all round guide and is often chosen as the lead guide for larger safari groups. A motivated and reliable person who believes in the highest standards of clients services combined with excellent presentation, communication and interpersonal skills. Born on 17th May 1968 in the urban environs of Kampala city, I have grown up through the years seeing Uganda – the Pearl of Africa pass through the good and bad until it now when the present and the future seems to be in her favor. I am a married man with children and cherish friendship and being helpful to others. I trained in Masai – Mara National Park from 1998 – 2000 after which I joined Safari guiding till now and have worked with a range of famous safari companies in East Africa. I have a broad expertise in wildlife guiding and culture. I am a down to earth person with considerable sense of maturity. 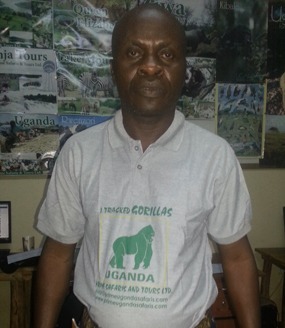 I am a member of Uganda Tour Guides Association (UTAGA) and my hobbies include watching wildlife movies and listening to music. Currently i am a full time safari guide at Prime Safaris & Tours Ltd.
Our Vision at Prime Safaris & Tours Ltd.
To offer effective, efficient and excellent memorable yet affordable tour services to our esteemed clients all over the world . To offer affordable safaris to Uganda and all our Africa safari destinations to all clients the world over. To offer the ultimate Africa safari memories and a life time memory in the mind of our esteemed clients that safari with Prime Safaris & Tours Ltd.
We drive travelers’ interests providing them with their desired ultimate safari experiences in Uganda and all around East Africa. Our committed staff has offered excellent services to several group clients and individual travelers over the years, as well as promoting Uganda-the pearl of Africa as the world`s best tourist destination as well as other East African destinations. Part of the profits generated from this agency boost the sponsorship of the orphans and all beneficiaries of the (COVCC INTERNATIONAL) programs. Prime Safaris & Tours Ltd offers Uganda Safaris such as Gorilla tracking safaris and Chimpanzee Trekking, prime wild game tours, Mountain Climbing adventures, city tours, white water rafting, boat cruise trips, fishing trips, horseback riding, bird watching, Car hire and hotel booking. We run safaris in all the major Uganda National Game Parks and Reserves such as Murchison falls national park, Queen Elizabeth national park, Bwindi Impenetrable forest National Park(East Africa`s Mountain Gorilla safari Destination), mountain Elgon national park, Kidepo Valley park, Mgahinga Gorilla Park and the Virunga mountain range etc as well as all other prime safari destination in East Africa based on your interests. We have a proven record of effectively and efficiently organizing customised private safaris and groups safari tours, leisure travel, business and family trips. Our dedicated and experienced team will serve you with all of your travel requirements within and shall go an extra mile to ensure your adventure satisfaction. Effective service to your travel needs is our priority yet your budget and personal needs matter when choosing accommodation for your trip. We can make it to any destination of your choice being well equipped with reliable 4WD Toyota Safari Land Cruisers, 4×4 safari Supper custom, 4×4 safari minibuses, other SUV and Sedan tour cars which are customized and comfortable for our clients.